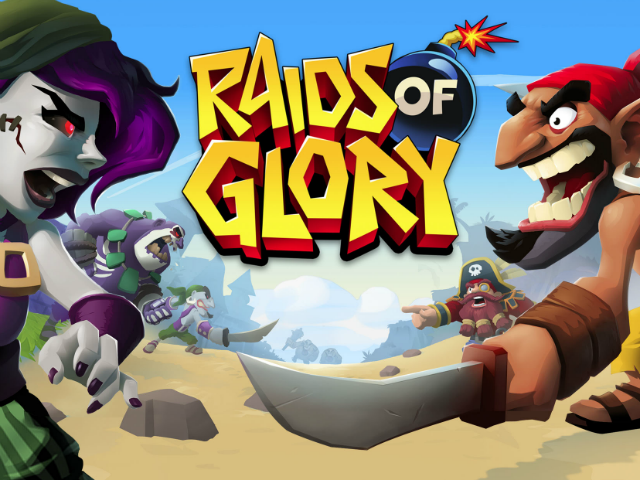 Mobile games publisher Chillingo has announced the launch of Nitro Games’ Raids of Glory on iOS devices. The base-building combat game sees players constructing a stronghold on a tropical island, defending it from pirate armies while creating their own military force capable of defeating computer-controlled camps or other real players. In Raids of Glory, players make progress by balancing the use of key resources, including gold and rum. These are produced in raid camps and distilleries, respectively, and players can spend resources to upgrade these structures and increase their productivity. A barracks is used to train units for an army, storage structures allow players to hold more rum and gold at once, towers and walls will defend the island from other players’ attacks, and so on. The game’s single-player battle mode allows users to complete timed, level-based raids on computer-controlled camps. During battle, players can divide and conquer, tapping on specific unit groups, and tapping again to target a chosen defensive structure. In addition, users can unlock special “leader” units, each with their own battle skills. Enemy camps may be protected by items like rifle towers, mines and walls, but players receive up to three stars on each raid, if they’re able to destroy every building in the settlement without losing their own men or running out of time. Players also receive gold and rum from these raids. For social features, players can construct a lighthouse to unlock global chat, player-vs-player battles, Pirate Gangs (alliances) and new daily missions. These daily missions ask players to complete specific tasks to receive free premium currency. This premium currency is then used to speed up tasks or purchase more gold and rum, among other options. Raids of Glory is available to download for free on the iTunes App Store.